Last comment was posted 3 hours, 18 minutes ago. Last night sealed the deal on a new tradition in the cocktail community. For the second time, countless bloggers and readers found themselves in the Mixoloseum Chat Room sharing cocktail recipes, creating new ones, and imbibing into the wee hours of the night. Come up with a crazy cocktail idea. Watch as it’s tweaked, discussed, and more than likely completely changed. Mix it up along with everyone else and share your thoughts. Consume (or dump down the drain) and repeat with a new cocktail. We ended up with several new cocktails worthy of scribing in the books. Give them a try and share your thoughts here or in the chat room. Shake like a crazy elf and double-strain into an ice-filled pint glass. Top with club soda. Gabriel and I were both concerned about the 1 1/2oz of syrup in this beast, but it turned out to be just the right amount. The recipe could use a tweak or two, but overall I loved it. I haven’t had many tiki drinks with eggs, let alone whole eggs, so it was a treat. 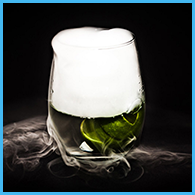 Stir with crushed ice and strain into a chilled cocktail glass. Despite its name, this was one of the favorites of the evening. The combination of Fernet Branca and absinthe warrants further exploration. 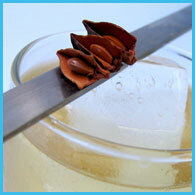 Build over ice and chuck in an orange slice with flair. The chat lasted seven hours last night. This was the final cocktail (pictured above) of the evening and maybe my favorite of the night. Join the chat, everyday, at http://bar.mixoloseum.com. That was the last one I consumed. Did anyone try your suggestion? I think I was the only one foolish (or sober enough) to mix it. I just enjoy righteous indignation. 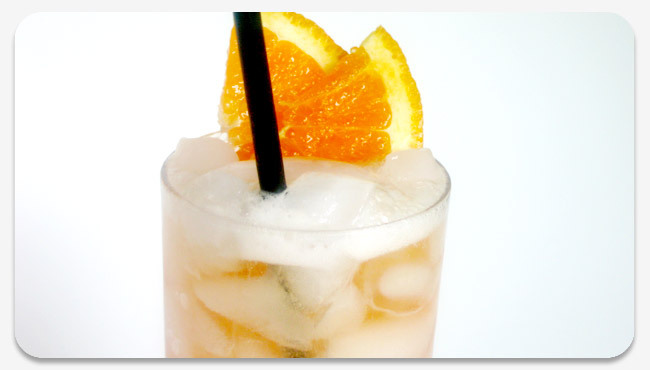 Muddle orange and simple, add the rest and shake, strain and pour over crushed ice. Name? don`t know. Name it! i usually dont drink on week nights but for this i would make an exception.